You may have noticed the URL for the blog directory changed from blogs.kas.tw to share.kas.tw. Along with the name change is a redesigned site with an increased focus on teaching and learning. Allow me to walk you through the newly redesigned site: [email protected]. 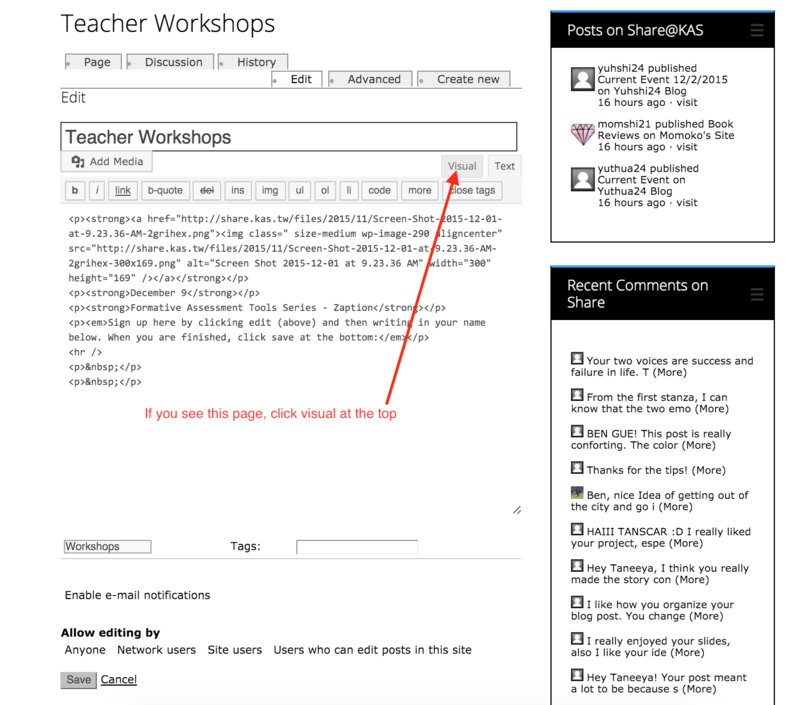 The first change to the layout is the menu at the top which is broken down into four sections: Teaching, Learning, Teacher Workshop Signup, and Website Directory. The teaching category focuses on lesson planning and the thoughts and reasons behind what teachers are doing in their classrooms. Learning focuses on outstanding student work. 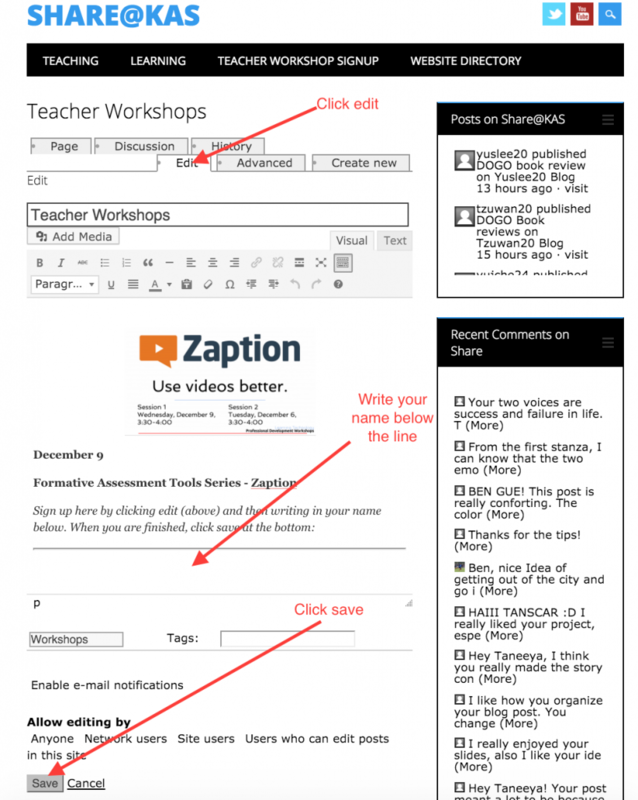 Sharing teaching practices and student achievements is the main focus of this new site, so when you have an interesting lesson or outstanding student work you would be willing to share, please let us know in the Learning Technology Office. 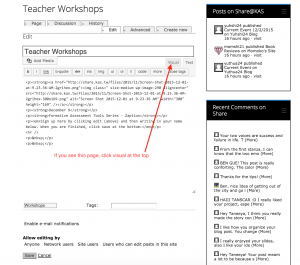 Teacher workshop signup is in the beta phase. This is a place to see and sign up for upcoming workshops. If your page is in indecipherable code, click the visual tab. The website directory is where you can find student and faculty blogs websites. The word “blog” has been replaced for a few reasons, but mostly to reflect that these sites allow you to do much more than simply create a diary. This is also the section where students can add sites to the directory. The most recent posts appear in the middle section. One way to browse older posts is to go through the pages in the menu at the bottom of the section. A better way is to use the blue magnifying glass at the op of the page. The footer is located at the bottom of the page and has four sections: Featured Sites, Useful Links, Categories, and Archives. Featured Sites are interesting KAS sites — both student and teacher — worth taking a closer look at. Just as the same says, this is where you will be able to find useful information including, the school technology standards and technology resources to integrate technology into your curriculum. 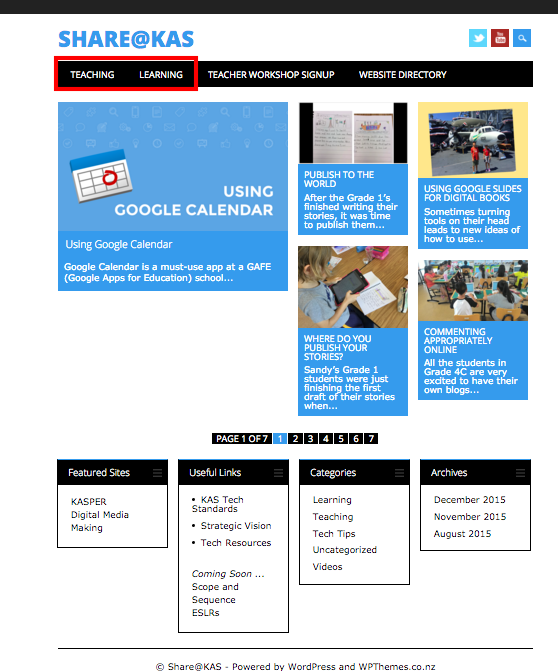 Take a look at Tech Resources. 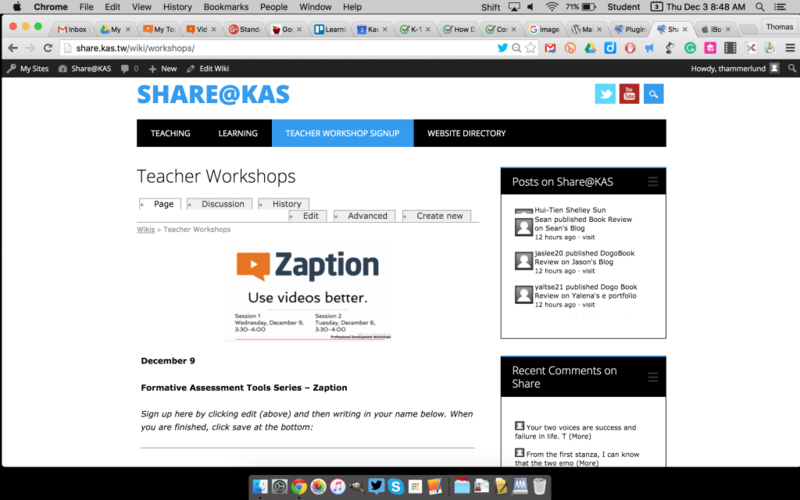 These are resources curated from the web specifically related to KAS. Search for articles by month and year. At the top of the page are currently three icons. The Twitter icon is for posts about the school with the school’s hashtag #KAStw. The second is a link to the school’s YouTube channel. And the third is a site search function. This is the best way to find a post. As always, if you need any help navigating the site, or have a great idea to share, please stop by the Learning Technology Office.